Here's a fresh idea for creative flowers. 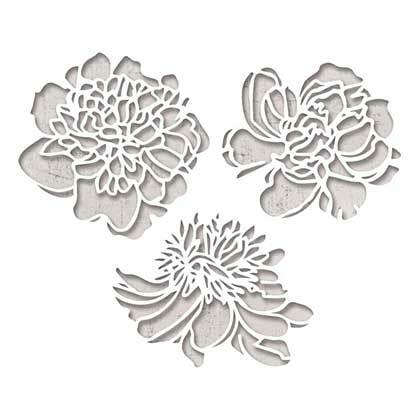 The Cutout Blossoms Thinlits Die Set is designed to make the most of negative space. Layer these intricate designs over inked or patterned paper or use them as stencils to create a beautiful effect for papercrafts and mixed media projects. Package includes: 3 wafer thin dies that range in dimensions from 2.25" x 2.875" to 2.25" x 2.5".